To achieve the 90-90-90 goals, it is essential that a country has a sufficient availability of antiretroviral (ARV) medication and HIV commodities, such as diagnostics and condoms. In the Dominican Republic (DR), where the government is in the midst of decentralizing its health services network and expanding access to treatment, knowing exactly how much to purchase is complicated. USAID’s Health Financing and Government project (HFG) helped build Dominican stakeholders’ capacity to estimate ARV and commodity needs and ensure the country has to meet HIV prevention and treatment goals. DR previously relied on morbidity data to estimate ARV needs, which means using epidemiological profiles and standard treatment plans to project future demand. This approach can overlook fluctuations in actual ART usage, causing shortages in some medications and wasteful overstocks of others. 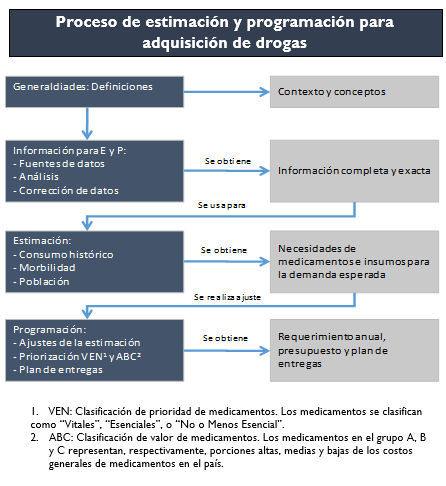 HFG supported the Dominican agency for medicine and supply management (SUGEMI) to build a new quantification tool comparing two methods: classic morbidity projections versus the nation’s historical consumption of ARVs. Using registries of ARV consumption kept by each HIV clinic, the matrix built by HFG allows procurers to identify gaps between expected future demand of ARV and actual use patterns. This will allow for more precise estimations of ARV needs, which is crucial for the DR to reach the 90-90-90 targets: overestimation can lead to drug waste and expiration, while underestimation can cause dangerous lapses in ARV stocks and subsequent gaps in adherence to treatment regimens. 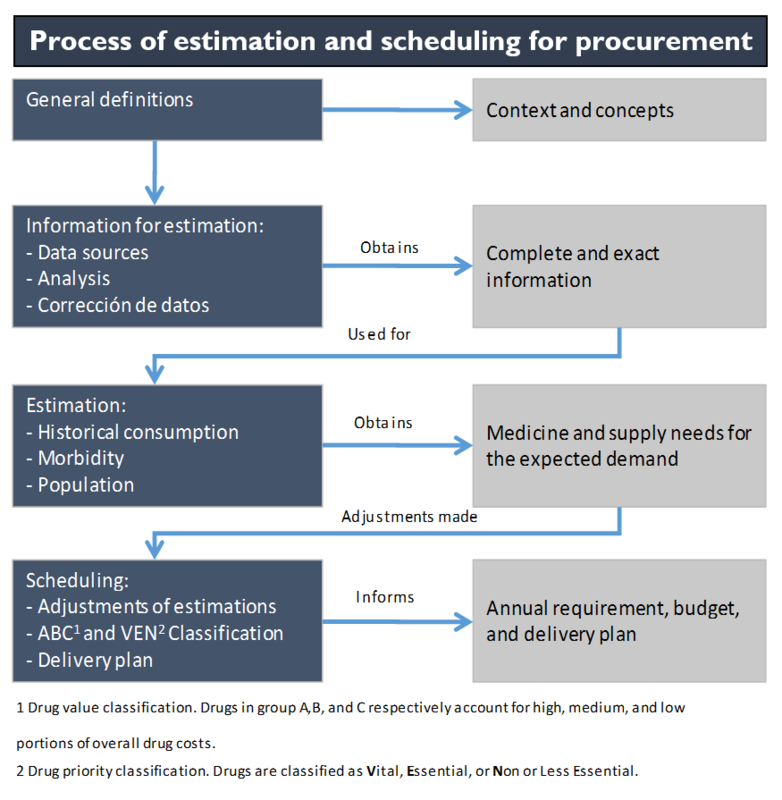 More precise estimations will increase efficiencies by ensuring that only the necessary amount, and nothing more, is budgeted for ARV and commodity purchases. The new quantification tool based in historical consumption was used to inform the calculation of funding and amounts necessary for the national HIV and AIDS response in 2019. Quantification and programming exercises are conducted every year by the Directorate-General for the Control of Sexually Transmitted Diseases and AIDS (DIGECITSS), the Department of Medicines and Commodities within the National Health Service (DMI), and the National Council of HIV and AIDS (CONAVIHSIDA). This year, for each medication or commodity, technicians calculated and compared both morbidity and consumption methods using epidemiological projections, dosage guidelines, and SUGEMI’s monthly registry of consumption and stocks, among other sources. In April 2018, representatives from HFG and the above stakeholders came together for a workshop, where they decided that the historical consumption method would be used to calculate the final programming of needs for 2019. Accurate, current estimation of demand is especially important for this upcoming year: the National Health Service is undertaking the massive task of decentralizing immunological monitoring services (such as viral load testing) to the regional health services, as well as preparing to implement the “Treatment for All” strategy projected to expand treatment to 7,000 more people living with HIV (PLWH) in the next year. Due to these changes and the improved quantification matrix, the financial requirement for 2019 is USD 13.6 million, an increase of 7% (USD 1.2 million) from 2018. HFG’s support in creating the new estimation matrix is already helping strengthen the HIV supply chain starting with the 2019 fiscal year. It will continue to help the Dominican Republic make informed and efficient procurement decisions for years to come.